In late March President Vladimir Putin extended an olive branch to the country’s oligarchs by proposing legal reforms that would in effect put shady privatizations of the 1990s beyond the reach of the law and that would also streamline tax collection. The announcement was hailed by investors as the re-emergence of the dimension of Vladimir Putin that is a defender of investment and promoter of economic growth. But within two weeks the reality of Russia struck again, as TNK-BP—easily the highest-profile and largest foreign investment in Russia—was hit with a $1 billion tax bill. Two days later Siemens was blocked by the Federal Anti-Monopoly Service from buying a majority stake in Power Machines, Russia’s biggest producer of power turbines. 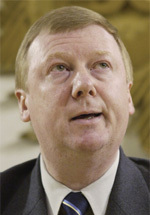 Uncertainty of a different stripe had emerged previously, when Anatoly Chubais—the mastermind of Russia’s privatizations of the 1990s and currently head of Unified Energy Systems, the country’s monopoly power distributor—survived a roadside ambush. The seemingly never-ending trial of former Yukos head Mikhail Khodorkovsky finally wrapped up in early April. The man who was until recently Russia’s richest faces up to 10 years in prison. A US-based investment fund in late March announced that it is trying to gather minority shareholder support to sue the Russian government for share losses stemming from the destruction of Yukos. 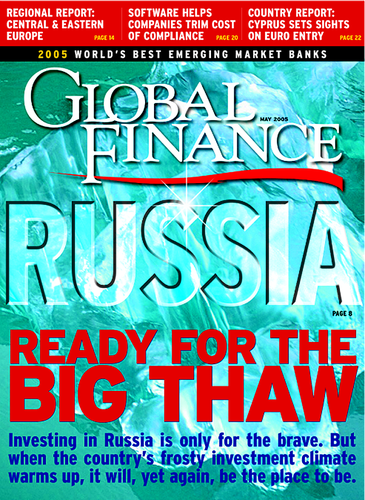 Despite the challenging environment, foreign investment into Russia continues. In early April Coca-Cola and its Greek bottling unit announced that they would buy Multon, Russia’s second-largest juice maker that analysts valued at roughly $650 million. Weeks later, British retail giant Dixons signed a deal that gives it the option of buying Russian electronics retailer Eldorado for $1.9 billion by 2011. Kyrgyzstan was the latest former Soviet state to upend its power structure, as the president of the small Central Asian nation fled in the face of protesters upset about recent rigged elections. Unlike Georgia and Ukraine, though, there is no clear unifying opposition leader in Kyrgyzstan, and the road to democracy promises to be particularly bumpy.